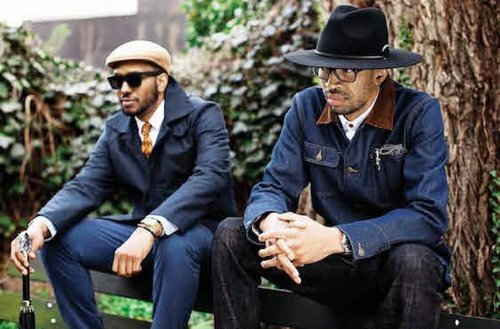 Legendary Philadelphia DJ Rich Medina and producer, DJ and visual artist Geology stroll and saunter, exuding love for Amsterdam and for real sartorial craftsmanship. OntFront’s menswear is “for the badboy and the gentleman,” mixing dapper details with tougher touches: tinted trenches paired with no-nonsense fedoras, bow ties and wing tipped boots. As they say at OntFront, good clothes open all doors.